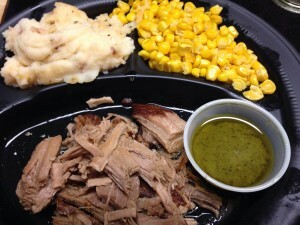 Boston Market has a brand new item on their menu that is quite tasty and satisfying. It’s Slow Braised Pulled Pork. If you love Boston Market, then you should really try the pulled pork. It’s DELISH! My family and I finally tried it a few days ago and we all loved it. 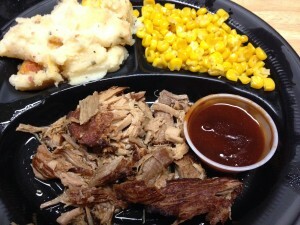 Although the pulled pork is delicious all by itself, you have a choice of two sauces: Garlic Citrus sauce and Zesty BBQ sauce. They’re both very good but my favorite was, hands down, the Zesty BBQ sauce. It’s sweet and well-seasoned with just the right amount of spice. And the best part about ordering out at Boston Market (besides the delicious meal you will eat) is the fact that there’s virtually no clean up after the meal. No dishes means more time with your family. Boston Market’s Pulled Pork w/ Garlic Citrus Sauce. 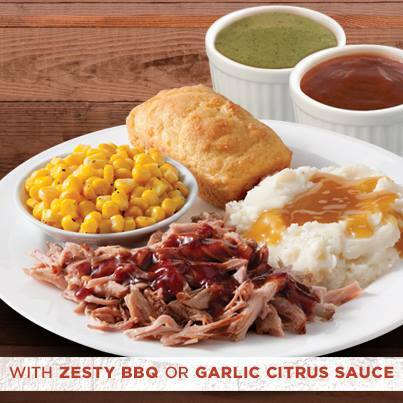 Boston Market’s Pulled Pork w/ Zesty BBQ Sauce. And luckily for my lovely readers, Boston Market was kind enough to provide a $50 gift card for one lucky New York Chica reader. Entering is easy. All you have to do is follow the Rafflecopter rules. I usually get the meatloaf, with a chocolate brownie for dessert. I liked the FB post. I usually order rotisserie chicken, mashed potatoes, corn, and muffins for my whole family. I don’t go to Boston Market, but I’d like to try the pulled pork. I like their Rotisserie Chicken . I really like getting their meatloaf! I usually order the Caesar Salad and my husband gets the Rotisserie Chicken Pot Pie. I liked the giveaway post on your Facebook page. I usually order the meatloaf, green beans, and mac ‘n’ cheese! I “liked” this posting on your Facebook page. We usually get the roasted chicken with mashed potatoes and mac and cheese. I liked your page and giveaway post on Face Book. I love their mac and cheese and their roasted chicken is so juicy! We usually order rotisserie chicken carver. I usually order the ribs, mashed potatoes and mac and cheese. I get the ribs and mac n cheese. 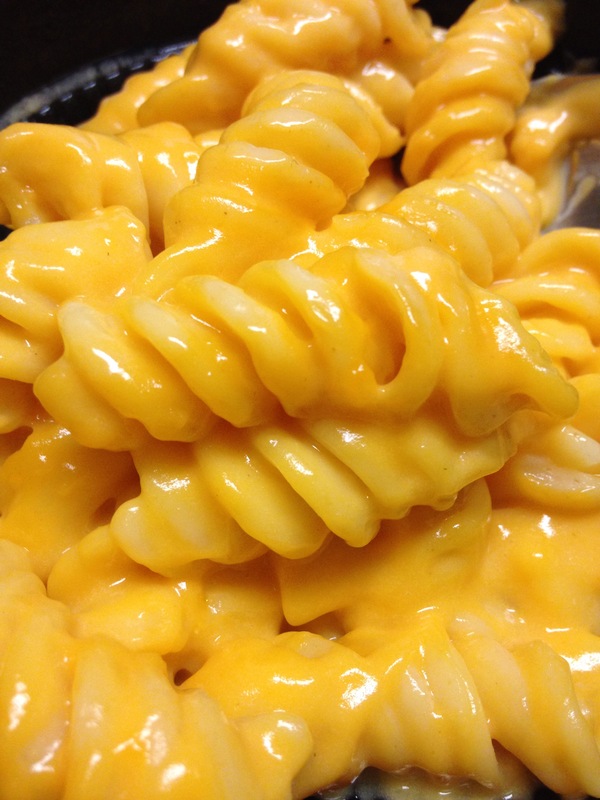 I always order the mac and cheese it is so good. I usually get the rotisserie chicken with the vegetables and mashed potatoes as sides. I usually get a carver sandwich combo. We love the rotisserie chicken and mac and cheese. I usually get rotisserie chicken and dressing. Baked chicken and mashed with veggies, yumm! I like to order the Rotisserie Chicken and mashed potatoes. I Always Order Chicken With Mashed Potatoes. I Liked The Giveaway Post On Facebook. mmmm the roasted whole chicken, corn and corn bread!!!! I usually order the chicken and mashed potatoes. I liked the FB post as Rust Hawk.